This year, the Singapore Day of Caring brought the world within reach for underprivileged children. The specific organizations they worked with were Daughters of Tomorrow and the Movement for the Intellectually Disabled Singapore (MINDS). 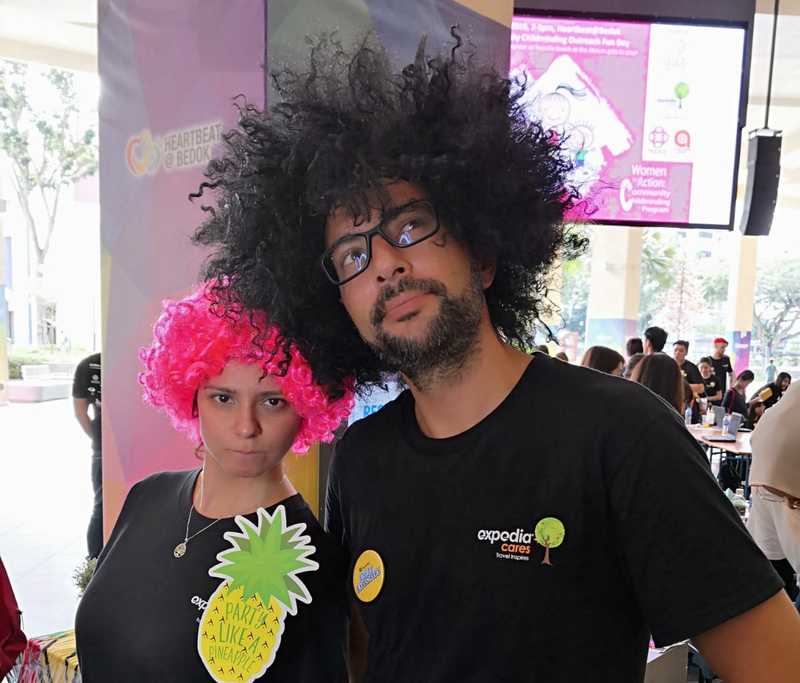 Nearly ninety Expedians created a travel-themed carnival that simulated the travel experience for kids and inspired them to dream. Of course, the event was also a lot of fun! The Phoenix Day of Caring supported an organization called Feed My Starving Children. Media Solutions and groups from other parts of Expedia Group came together to hand-pack rice, soy, and dried vegetables, and placed them into bags. They then shipped the bags to children identified by the Feed My Starving Children organization. The team took great pride in their work and the event turned out to be a great bonding experience for Expedians. 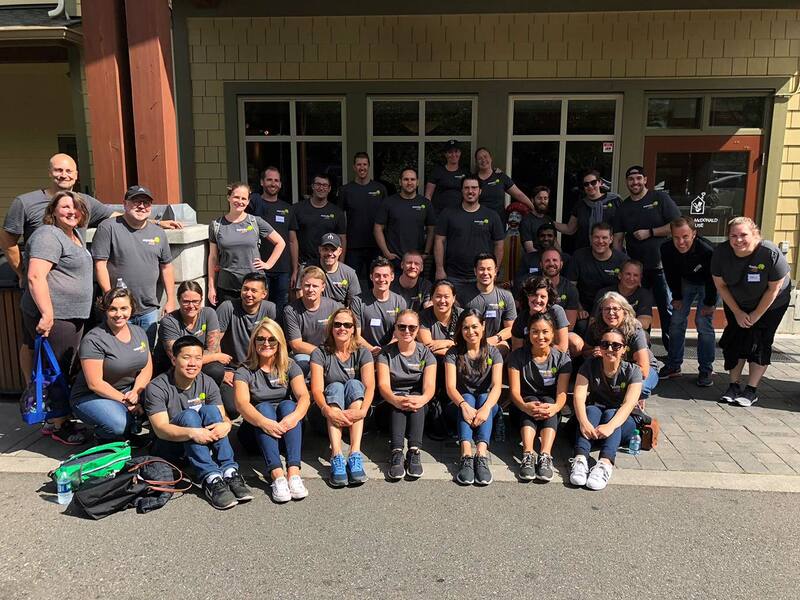 Seattle and Bellevue-based Media Solutions Expedians participated by giving back to the Ronald McDonald House. This organization and its associated charities of Western Washington & Alaska, provide housing, food, and a stable community for seriously ill children and their families. The teams cleaned kitchens, bathrooms, and common areas. They also improved the grounds by gardening, pressure washing, and treating outdoor furniture. All in all, it was a great way to spend the day getting to know one another better and giving back to local families in need. 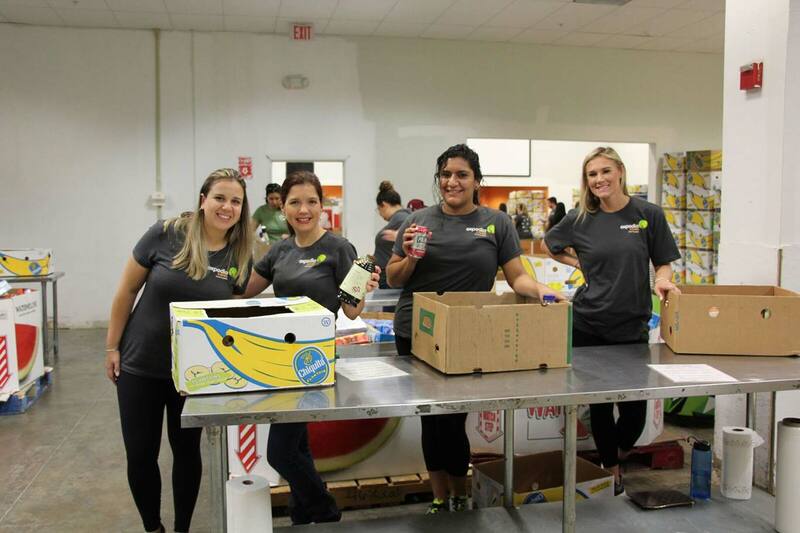 Miami Expedians worked alongside two local charities. The first, The Little Lighthouse Foundation, helps south Floridians give back to the community and specifically for this event helped needy children receive critical medical attention. The second organization, Feeding South Florida, helps feed Miami’s food-insecure population. 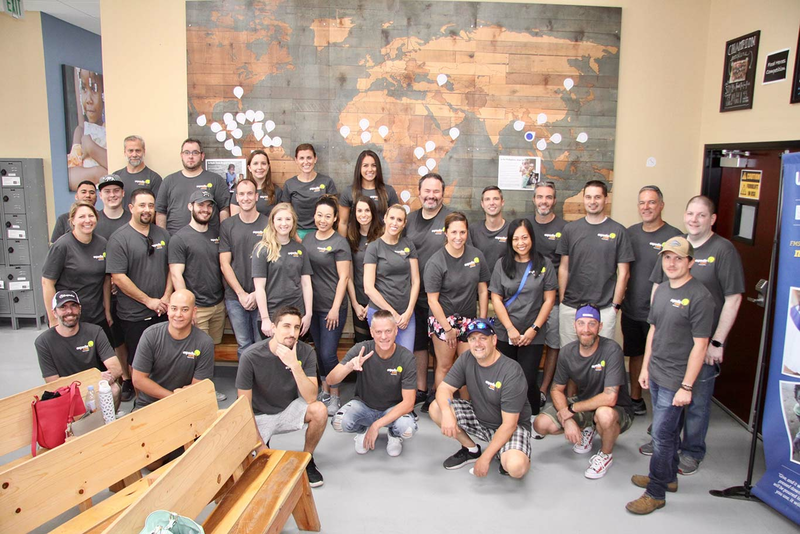 For the Day of Caring, they sorted through 32,000 pounds of food and were able to create 28,000 meals for families in the South Florida area. 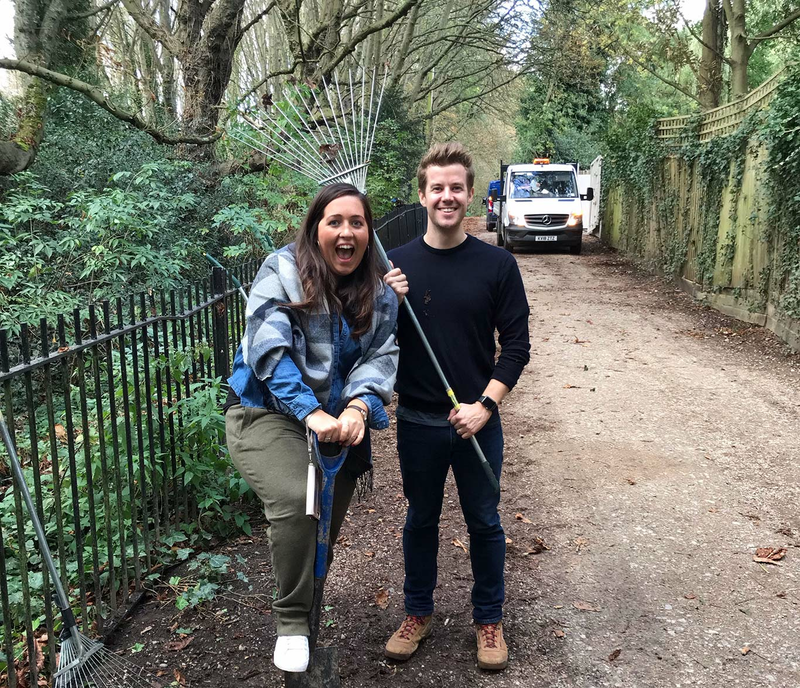 London Expedians volunteered at Hampstead Heath with an organization called Heath Hands, which is an organization that works to preserve and enhance the special character of Hampstead Heath, Highgate Wood, and Kenwood Estate in north London. Their vision is to enhance and preserve green spaces in these parks by instituting inclusive and positive volunteering programs. Heath Hands believes that volunteers have a key role to play in supporting the future direction of these green spaces and they were happy to take part in helping create natural habitats for all the critters as well as enjoyable spaces for anyone visiting the parks. Sydney Expedians went all out and supported five charities this year: Lentils as Anything, The Salvation Army, Beach Clean with Surfrider, Dementia Australia, and the Diversey Soap for Hope and the Shangri-La Hotel Sydney. All five events helped different communities, from feeding hungry families, to cleaning trash away from local beaches, to helping the homeless. As global senior vice president of Expedia Group Media Solutions, the digital advertising arm of Expedia Group, Hari Nair oversees all facets of the business including product development and execution, engineering, operations, marketing, media sales and business development. Hari was previously vice president and general manager of Orbitz.com and CheapTickets.com, subsidiaries of Expedia Group, responsible for overseeing retail operations and profitability of the business, brand strategy, marketing efficiency and customer lifecycle management. Hari joined Expedia Group in 2002, and has managed and led market management operations in a variety of offices, including Dallas, New York and London. He also oversaw the company’s hotel supplier relations and directed lodging strategy and business for North America. Prior to joining Expedia, Hari worked in corporate training and food and beverage operations at Oberoi Hotels, a leading luxury hotel chain that owns and manages thirty hotels and five luxury cruisers across six countries under the ‘Oberoi’ & ‘Trident’ brands. Hari holds a master’s degree in Hotel Management from Cornell University.